Would you like the opportunity to save lives, enjoy daily camaraderie and be inspired to do your best while working with while working with a team as committed as you are? 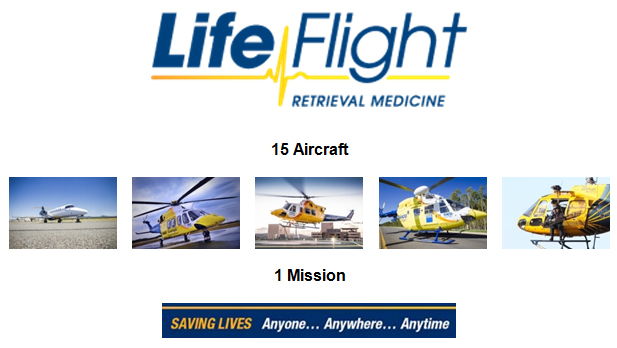 Head Medical are proud to be the international recruitment partners of LifeFlight, an aero-medical retrieval service looking for experienced Registrars and Consultants to join their team in Queensland, Australia. It started as a weekend adventure for surf lifesavers doing aerial beach patrols and rescues. But fast forward 35 years and LifeFlight can proudly say it has saved thousands of lives and has evolved into one of the largest and most sophisticated aero medical services in the world. With a team of more than 130 Doctors and Nurses, LifeFlight provide staff for all Queensland-based medical rescue aircraft. In addition to servicing regional and remote Queensland communities, Doctors perform medical retrievals across Australia and throughout the Asia-Pacific region. Medical teams work on board a network of rotary- and fixed-wing aircraft from bases throughout Queensland, with locations including Cairns, Townsville, Mackay, Rockhampton, Gladstone, Sunshine Coast, Toowoomba, Roma, Brisbane and the Gold Coast. Since 2010 Head medical have placed more than 50 Doctors with LifeFlight. The experience is second to none, both clinically and academically. With regular lectures, CPD and study time, this is a fantastic career opportunity as well as life experience. For a first-hand viewpoint, you can read about one of our placed Doctor’s experiences preparing for and spending a year working with LifeFlight on our website. Overall, LifeFlight employs more than 400 staff members throughout Queensland to provide swift, state-of-the-art medical care to those in need... Anyone, Anywhere, Anytime. International Air Ambulance Retrievals – supporting patients in the Asia-Pacific region as they are transferred to secondary/tertiary hospitals. In 2015-16, LifeFlight flew 1,864 missions from all of its Queensland community helicopter rescue bases, a 32% increase on 2014-15. The top five missions types, according to injury and illness were: cardiac chest pains (327); infections/serious illness (145); stroke/head/brain injury (99); falls from ladders/climbing (99); and respiratory conditions (93). LifeFlight Critical Care Doctors work at a primary base and rotate to other bases on average once every four weeks. Every base has a different caseload and case mix and rotations allow you to gather the widest possible clinical exposure. You'll travel widely around Queensland and experience some of Australia's most scenic and remote countryside. Rostered hours are a mix of on-duty and on-call working hours. Your week will typically comprise of 4 shifts which include 12 hours on-duty followed by 12 hours on-call, or 24 hours on-call, depending on the base location. To help you adjust to your new role, an intensive 7-day course at LifeFlight’s modern training facility will be provided, incorporating aviation medicine, pre-hospital scenario management, helicopter underwater escape training (HUET), and aircraft operational and safety instruction. Arranging a position overseas is exciting, but we understand that it can also be a complex and time-consuming process. We’re specialists in international medical recruitment and have helped many Doctors relocate since we first started out in 2008. We know it’s important to balance career opportunities with lifestyle so we’ll talk through your plans and get to know you to make sure we find the right role in the right location. Register your details on our website and sign-up for job alerts, upload your CV, or read some of our fantastic blogs about the places we recruit to. Finding your ideal job overseas couldn't be easier!